Welcome to Adrian Hepworth’s Fine Art Prints Gallery of wildlife and landscapes of Costa Rica. Each of Adrian Hepworth’s fine art prints is produced by a professional printing lab for pro photographers in the UK, where it is reviewed by an experienced technician before being shipped to your home. The prints do not have the watermark that is visible on this site. Purchasing is easy and fast; just click on an image to enlarge it and then select the $ ADD TO CART option to view sizes and prices. A simple check-out system will guide you through the payment process. We accept payments via PayPal, including credit cards via PayPal. 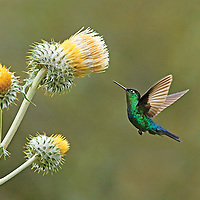 Welcome to Adrian Hepworth’s Fine Art Prints Gallery of wildlife and landscapes of Costa Rica. Each of Adrian Hepworth’s fine art prints is produced using a professional printer and professional photo paper. Adrian personally inspects each print before it is shipped to your home or office in Costa Rica. The prints do not have the watermark that is visible on this site. Purchasing online is easy and fast; just click on an image to enlarge it and then select the $ ADD TO CART option to view sizes and prices. A simple check-out system will guide you through the payment process. We accept payments via PayPal, including credit cards via PayPal. If you prefer to pay by depositing into a Banco Nacional de Costa Rica or Banco de Costa Rica account, just email Adrian directly to order your prints without completing the online payment process. Please note that this only applies for delivery within Costa Rica. Welcome to Adrian Hepworth’s Fine Art Prints Gallery of wildlife and landscapes of Costa Rica. Each of Adrian Hepworth’s fine art prints is produced by a professional printing lab for pro photographers in New York, where it is reviewed by an experienced technician before being shipped to your home. The prints do not have the watermark that is visible on this site. Purchasing is easy and fast; just click on an image to enlarge it and then select the $ ADD TO CART option to view sizes and prices. A simple check-out system will guide you through the payment process. We accept payments via PayPal, including credit cards via PayPal.